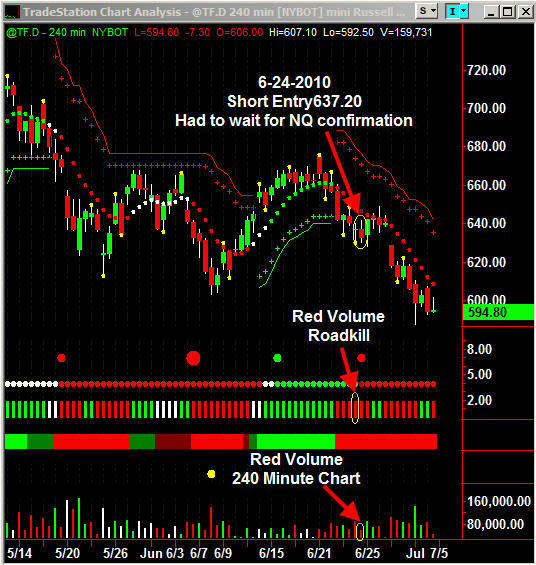 Making Profits in Swing Trading – See How VSA Does It! Nigel Hawkes is a market leader and expert in volume spread analysis. Over the past 20 plus years he has studied and applied volume analysis to every market in every timeframe. What he has found is that when using volume and price together with the desired timeframe he can successfully interpret market direction. He took his findings and created a group of ChartTools that provide consistency to his analysis within the framework of an easy to follow methodology. The Hawkeye Traders Methodology is designed to get traders and investors on the right side of the market. The important word in that previous statement is methodology. At Hawkeye we do not simply provide indicators to traders. We provide education and teach traders how to interpret the market through volume and price and how to trade it. 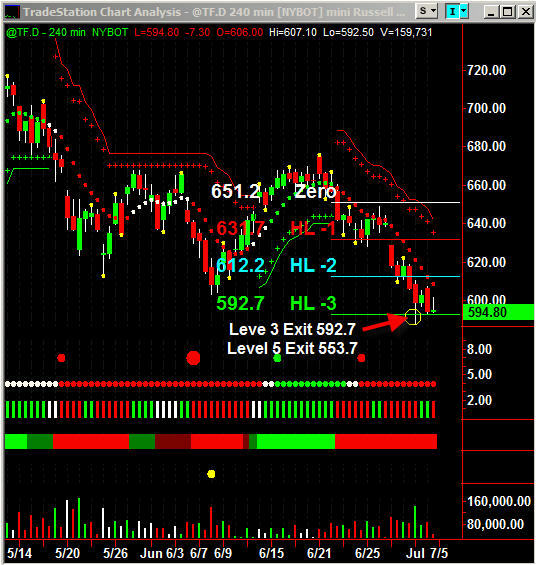 This training includes how to read the signals, where to enter, where to exit for both profit targets and stops and what timeframes to use based off your style of trading. It does not matter if you are a scalper, day-trader, swing-trader or investor. The Hawkeye Methodology can be used to interpret the markets of your choice. Over the next few weeks we are going to show you through charts and our analysis how this is done. In Series 1, we covered BP. In Series 2, we covered Jim Cramer’s Picks. In that analysis there were multiple stocks currently trading in congestion. In Series 3, we had analyzed several stocks in congestion and showed how to avoid trades when congestion is present. This week, we will show how Volume Spread Analysis (VSA) will give you the edge in Swing Trading. Join Nigel Hawkes, the world’s leading authority on VSA, as he teaches students all about VSA at the Hawkeye Seminar (27-28 Sep 10) in sunny West Palm Beach, FL. You do not want to miss out on this opportunity to learn directly from Nigel about the power of Volume Spread Analysis. SERIES 4: Swing Trading Indices. Making Profits in Swing Trading Using Volume Spread Analysis. Time is a crucial element to trading. The smoother we make price and volume the easier it is to trade it. If we look at current Nasdaq and Russell 2000 charts we can see that on June 23, 2010, we have increasing selling volume on a bar that closed near its mid range. Volume Spread Analysis tells us that on this bar sellers came in strong and we should be expecting decreasing price movement. When the June 24, 2010 bar opened Hawkeye gave us a short signal on the Russell 2000 and the Nasdaq. 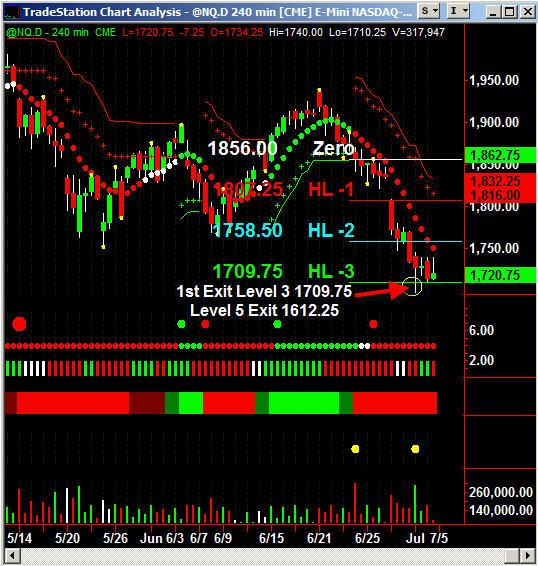 Here at Hawkeye Traders we like to wait for both indices to confirm market direction increasing the probabilities for trend continuation. Towards the end of the downward push level 3 was triggered in both markets on July 1, 2010. On this bar the Russell closed near the midrange of the bar on increasing green volume and the Nasdaq closed in the upper quadrant of the bar on increasing green volume. This tells us that buyers are present in the market and a pullback should be expected. During this market condition we want to see sellers come back in the market to increase probabilities of downward trend continuation. 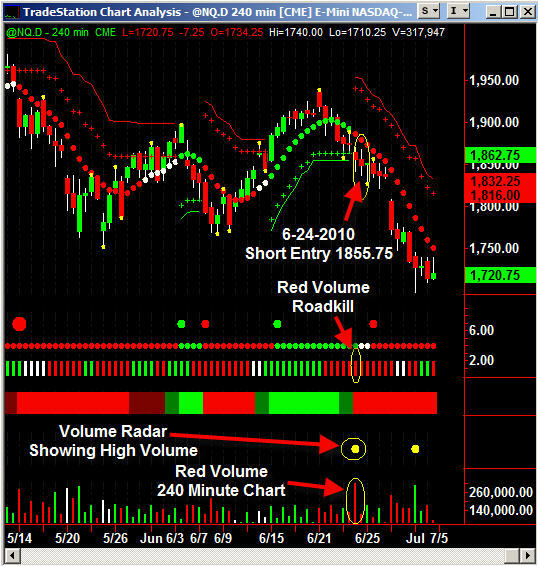 On July 2, 2010, red volume came back in the market confirming sellers reentry. The bar closed near its low in both markets on increasing selling volume. In terms of Volume Spread Analysis this is a bearish signal. To learn more about the power of Volume Spread Analysis, attend one of our 2 or 3-day seminars as we explain in detail how to interpret volume in terms of price spread. Do not miss out on the opportunity to learn this powerful trading technique. Understanding Price and Volume: Now that’s trading!! !